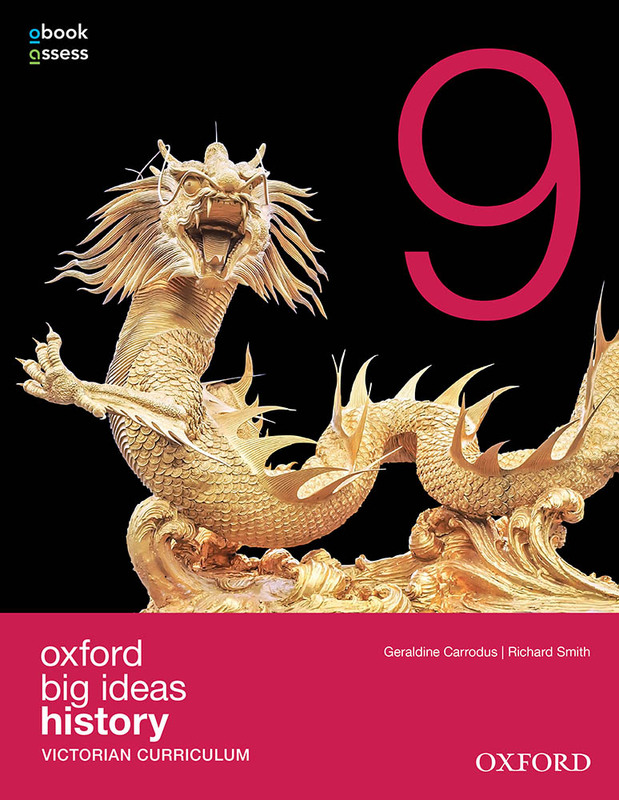 Oxford Big Ideas Humanities provides complete coverage for the Humanities – Geography, History, Economics and Business and Civics and Citizenship – in one easy-to-use package. * Take a semester-based approach or deliver separate year-long courses. 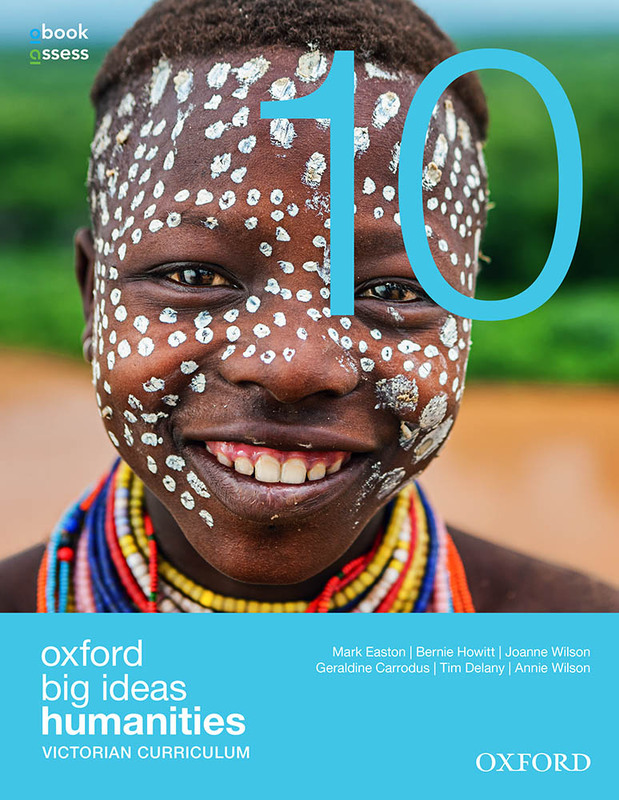 All Oxford Big Ideas Humanities series are supported by award-winning digital resources for Secondary School students and teachers on obook assess, Oxford’s premium digital learning platform. *Please note: Australian Curriculum Economics and Business and Civics and Citizenship are covered in a separate resource. 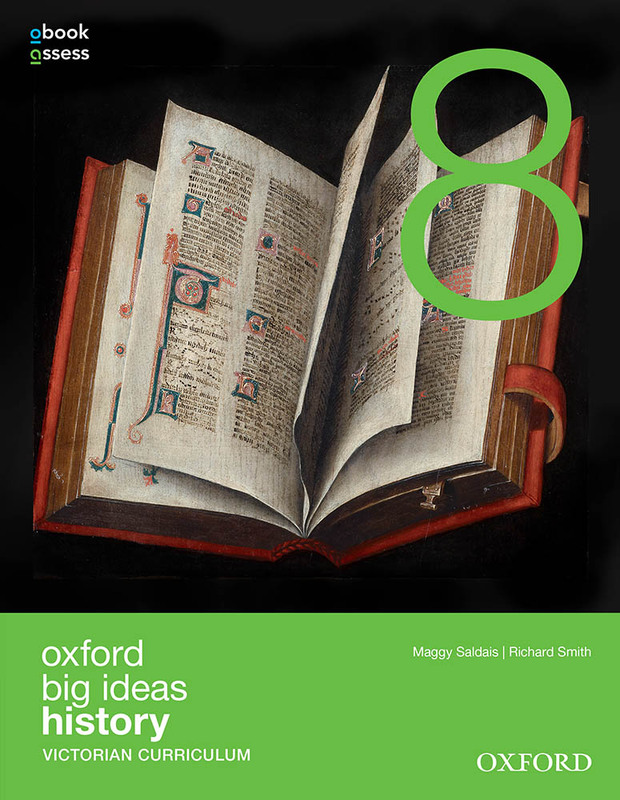 What do teachers say about Oxford Big Ideas Humanities? 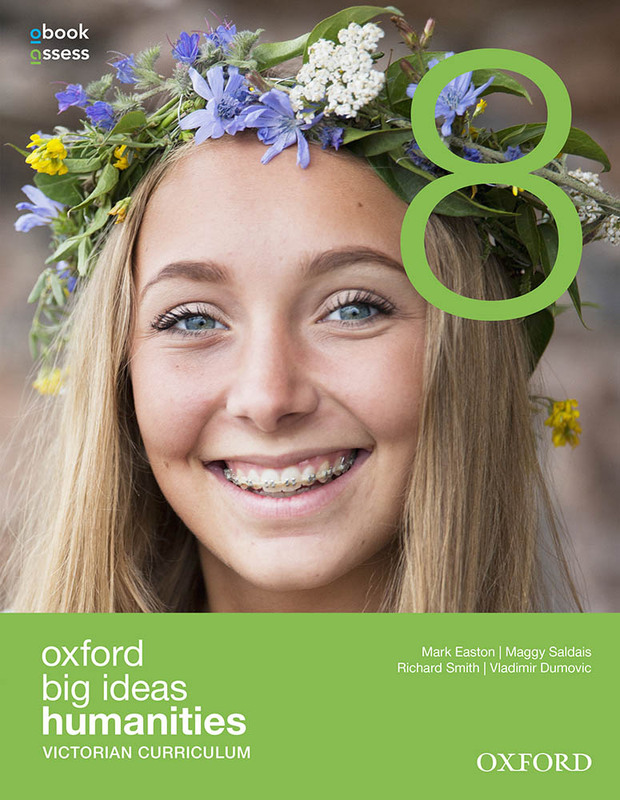 "The Big Ideas format has improved students engagement with content and improved learning outcomes. An invaluable resource for supporting students with content and engaging activities." "The textbook covers all the disciplines in one book, Civics, History, Economics & Geography. The digital teacher and student resources are excellent and widely used." "A comprehensive text that has allowed for the study of the complete suite of the WA HASS syllabus." "It has ensured consistency in information across all classes, yet still allows teachers to tailor lessons as they see fit." 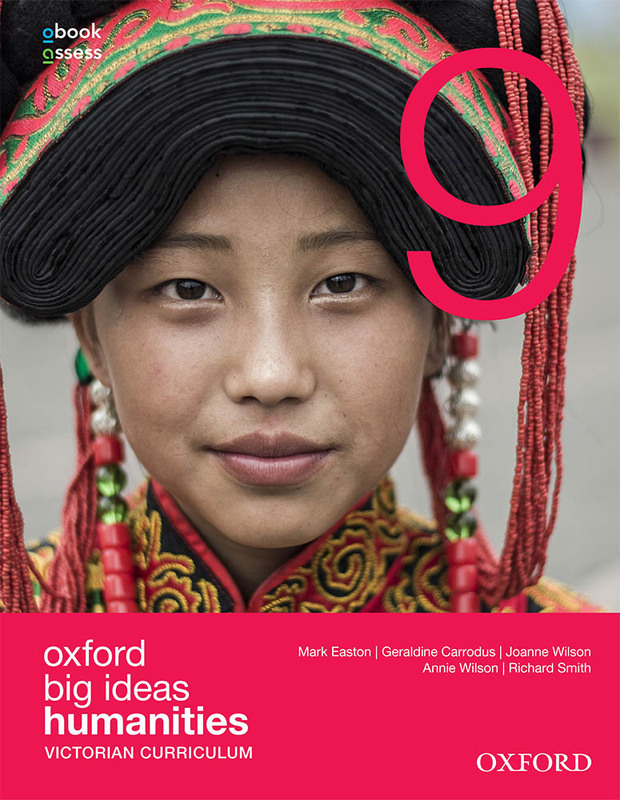 Oxford Big Ideas Humanities provides complete coverage of all Geography, History, Economics & Business and Civics and Citizenship content in a single learning package (print and digital). Four books in one – ideal for semester-based courses. Fully revised and updated to meet the requirements of the Victorian Curriculum: Humanities across Years 7–10. Stand-alone skills toolkits cover key concepts and skills from the Victorian Curriculum. A range of self-marking quizzes mapped to VCAA content descriptors drive student progress and engagement. 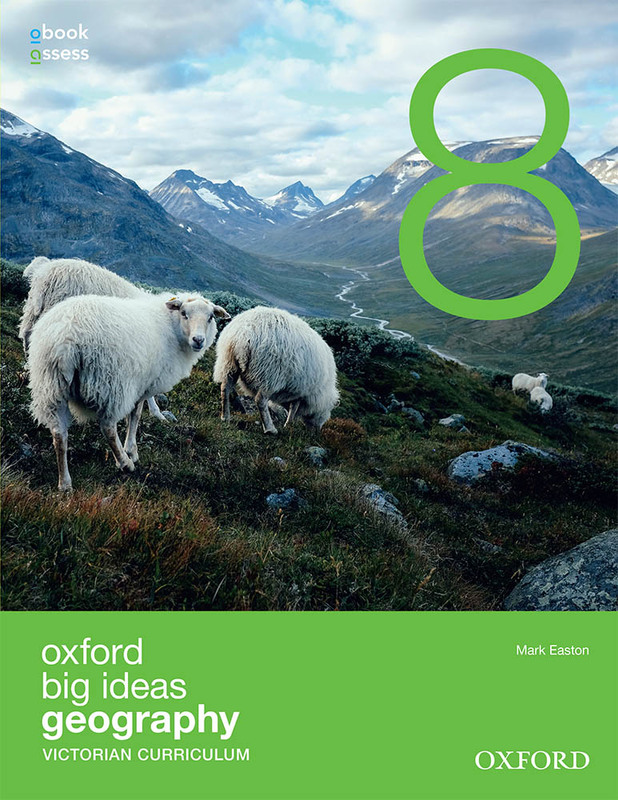 Fully revised and updated for the Victorian Curriculum: Geography, Oxford Big Ideas Geography supports an explicit focus on the acquisition of geographical skills and key concepts at each year level. Chapters structured around key questions from the Victorian Curriculum support an inquiry-based approach to Geography. Graded Check your learning questions and activity blocks support and extend student understanding. Engaging source materials include stunning full-colour maps, photographs, data tables, satellite images, graphs and illustrations. A strong focus on skills acquisition is supported by ‘The geography toolkit’ and Skill drill activities. All topics and options are offered in print and supported by additional worksheets, answers, teacher notes, tests, interactives and videos. Teacher obook assess provides teacher notes, suggested solutions, student worksheets and more. 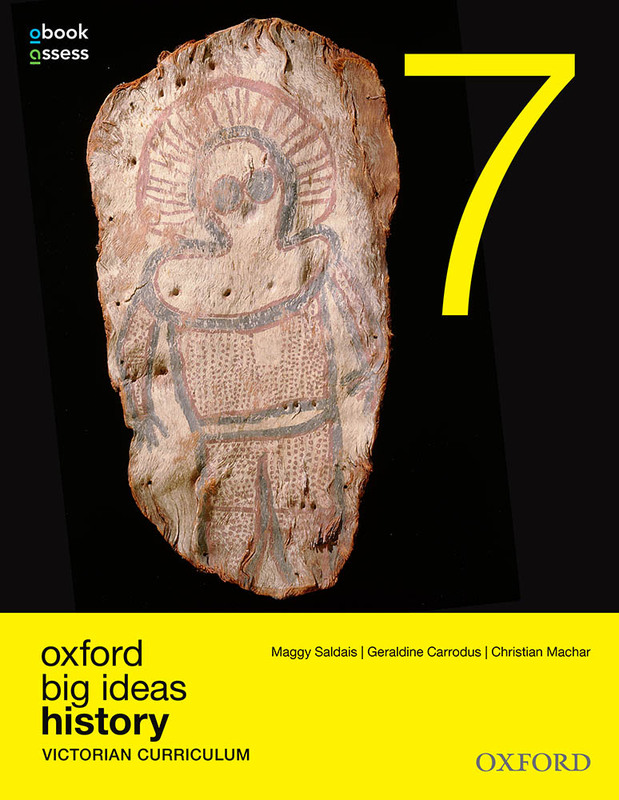 Fully revised and updated for the Victorian Curriculum: History, Oxford Big Ideas History provides opportunities to discover, explore and connect with the past through engaging, inquiry-based units. New topics: Aboriginal and Torres Strait Islander Peoples and Cultures (Year 7) and Political Crisis (Year 10). An explicit focus on the acquisition of historical skills and key concepts at each year level is supported by ‘The history toolkit’. Provides complete coverage of Years 9 and 10 content from the Victorian Curriculum: Economics and Business and Victorian Curriculum: Civics and Citizenship in one series. Take a semester-based approach or deliver separate electives. Offers premium digital resources designed for all classrooms with content and interactive resources designed to work across all devices. Supports student progress and understanding with self-marking online quizzes – choose from hundreds of graded assessment tasks mapped explicitly to the Victorian Curriculum and receive instant feedback on student progress. Provides complete coverage for the Humanities – Geography, History, Economics & Business and Civics & Citizenship – in one easy-to-use package (print and digital). Take a semester-based approach or deliver separate year-long courses. Fully revised and updated to meet the requirements of the Western Australian Curriculum: Humanities across Years 7–10. Stand-alone skills toolkits cover key concepts and skills from the Western Australian Curriculum. A range of self-marking quizzes mapped to SCSA content descriptors are offered FREE through obook assess. Provides complete coverage of the Australian Curriculum: Geography and Australian Curriculum: History in one series with an explicit focus on the acquisition of Humanities skills and key concepts at each year level. 2014 EPAA award-winning series: Best Student Resource – Junior. 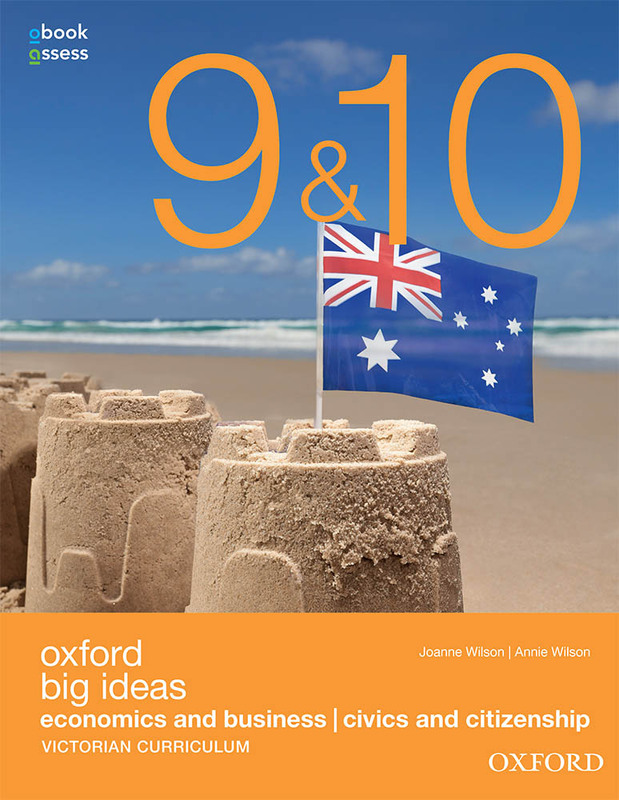 Fully revised and updated to meet the requirements of the Australian Curriculum. Provides complete coverage of all content in a single learning package (print and digital). Stand-alone skills toolkits cover key concepts and skills from the Australian Curriculum. 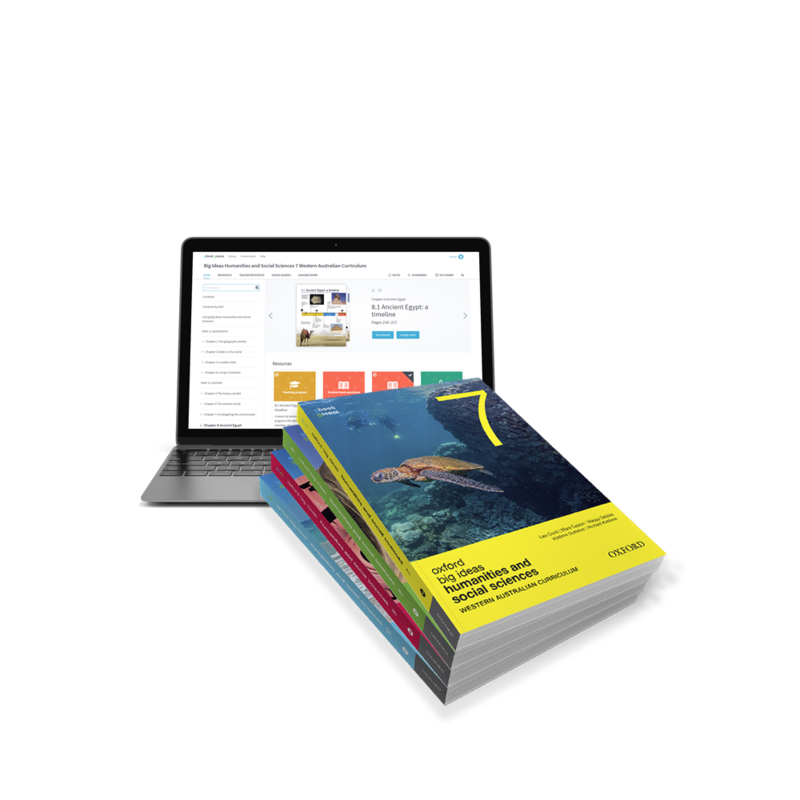 Provides complete coverage of the Australian Curriculum: Geography across a range of print, digital, and blended resources with an explicit focus on the acquisition of geographical skills and key concepts at each year level. 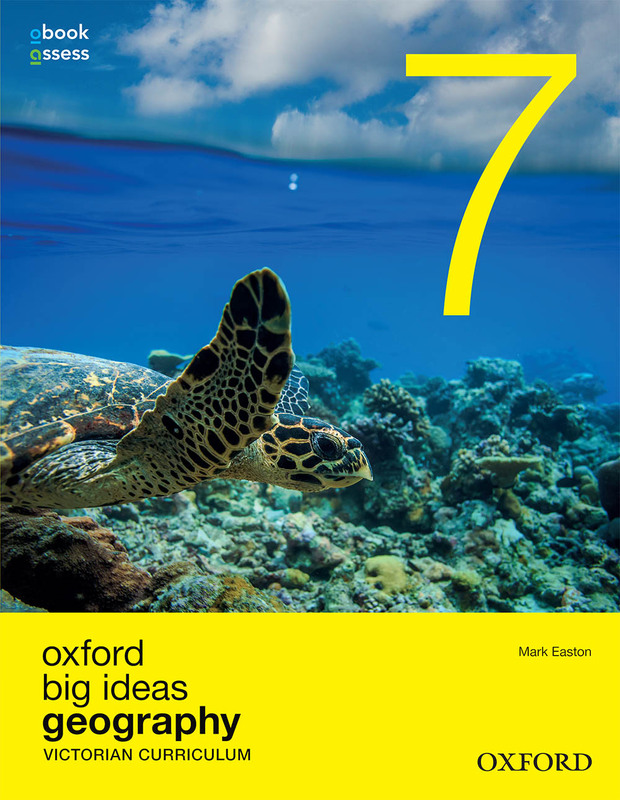 Fully revised and updated to meet the requirements of the Australian Curriculum: Geography 7–10. Explicitly integrates content and skills from both strands of the Australian Curriculum: Geography. Learning is centred around meaningful inquiry-based units of work. An explicit focus on the acquisition of geographical skills and key concepts at each year level is supported by ‘The geography toolkit’. Provides complete coverage of the Australian Curriculum: History with an explicit focus on the acquisition of historical skills and key concepts at each year level. 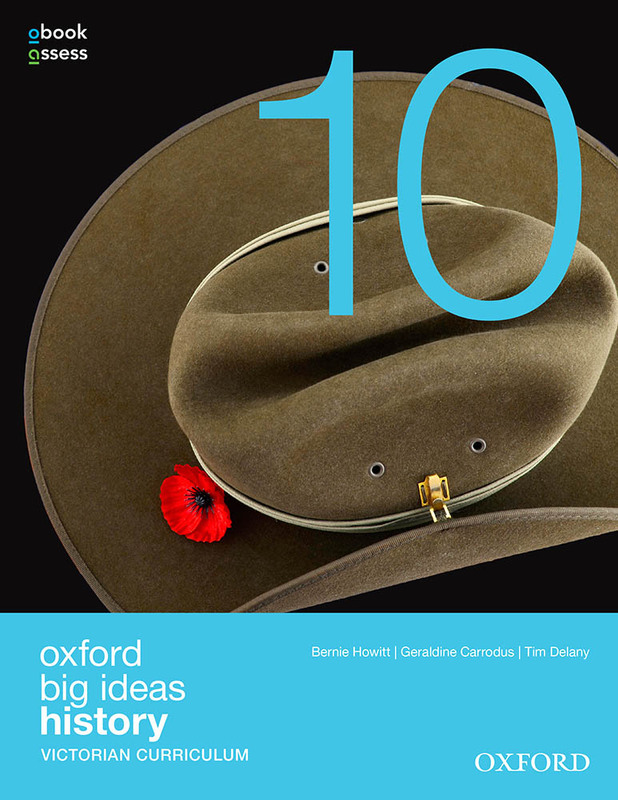 Fully revised and updated to meet the requirements of the Australian Curriculum: History 7–10. Stand-alone skills toolkits cover key concepts from the Australian Curriculum. Clear instructional language is supported throughout by stunning images, illustrations and source materials. A range of self-marking quizzes mapped to Australian Curriculum content descriptors drive student progress and engagement. Provides Complete coverage of Years 9 and 10 content from the Australian Curriculum: Economics and Business and Australian Curriculum: Civics and Citizenship in one series. Take a semester-based approach or deliver separate electives. Oxford Atlas for Australian Schools helps teachers implement Years 7–10 Geography curricula across Australia. An array of innovative features makes it easy to find relevant and engaging content across a wide range of material. 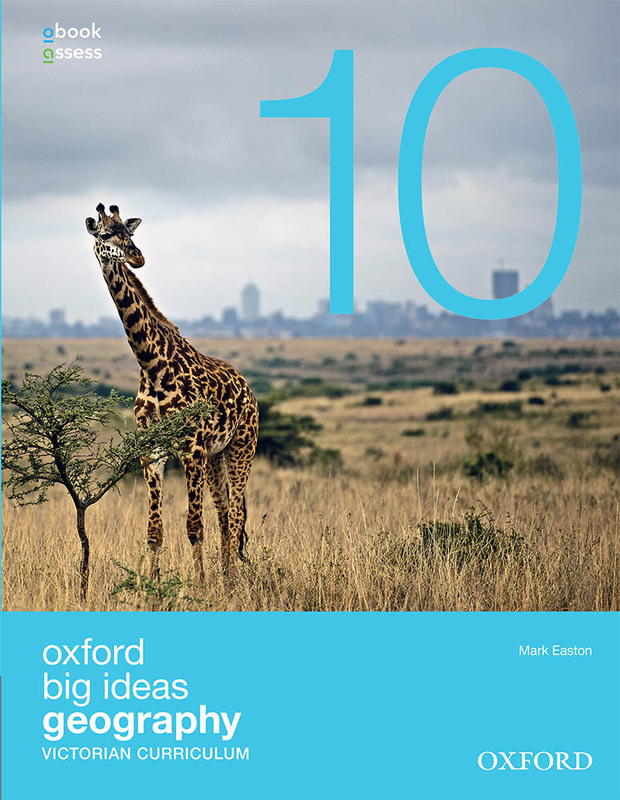 Contains over 160 pages of content. Topics are organised by year level and unit to support all courses and provide targeted learning opportunities. Comprehensive reference sections provide detailed maps of all Australian states and territories as well as maps of all world regions. Teachers can add notes, drop pins or draw freehand markups on more than 250 interactive maps. Teachers can also share notes with the class by customising assignments and homework tasks or sending via email. A completely updated world statistics database allows students to easily compare key statistics across countries and export data directly to Excel. Each chapter is structured around key inquiry questions from the curriculum, supporting students and teachers as they adopt an inquiry-based approach to the key learning areas in the Humanities. Engaging source materials and supporting activities throughout simplify difficult concepts and engage reluctant learners. Stand-alone reference ‘toolkits’ provide complete coverage of all concepts and skills, which are also integrated throughout the text so that students can see them in context. obook provides a fully interactive digital version of the Student book with note-taking, highlighting and dictionary support included. Every obook contains links to additional resources, such as videos, interactive modules and worksheets. Lesson-by-lesson teaching programs feature suggested timeframes, teaching strategies, additional activities, assessment ideas, weblinks and differentiation strategies. Answers to all student book questions, activities and worksheets are also available on Teacher obook assess, along with fully-editable chapter tests that enable you to customise assessment to the needs of your classroom. Set up classes, assign work electronically, track student progress and manage results and assessment online via Teacher obook assess. Empower your Year 10 students to make informed subject selections for the following year by giving them a taste of senior Accounting, Business Management, Economics and Legal Studies courses. 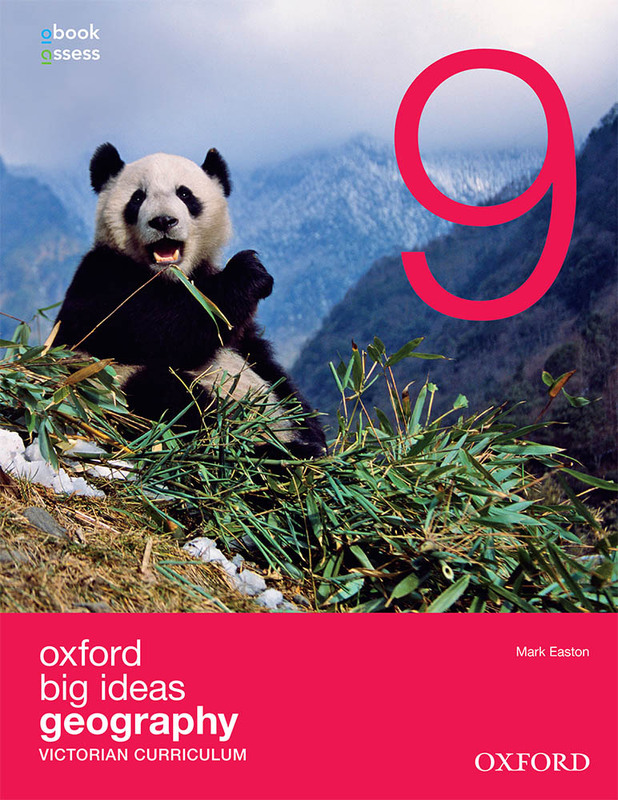 Big Ideas Economics & Business | Civics & Citizenship 9 & 10 (VIC & AC). Fill out the below form and an Oxford Education Consultant will contact you to organise an appointment. *Terms and conditions: One free book per consultation. 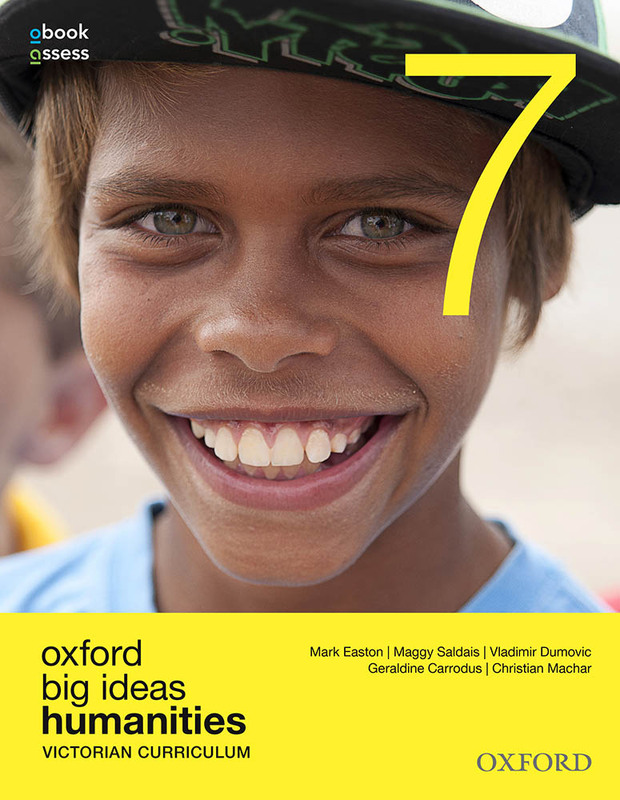 Free book only available to teachers employed at secondary schools within Australia. For regional customers, consultation may be performed via Skype.